In Mahjong you can remove matching tiles only if they are adjacent to each other or if you can draw a path of up to 3 lines between them. Mahjong Connect takes Mahjong to a whole new level. Unlike the traditional Mahjong, you can remove matching tiles only if they are adjacent to each other or if you can draw a path of up to 3 lines between them. See detailed instructions below. 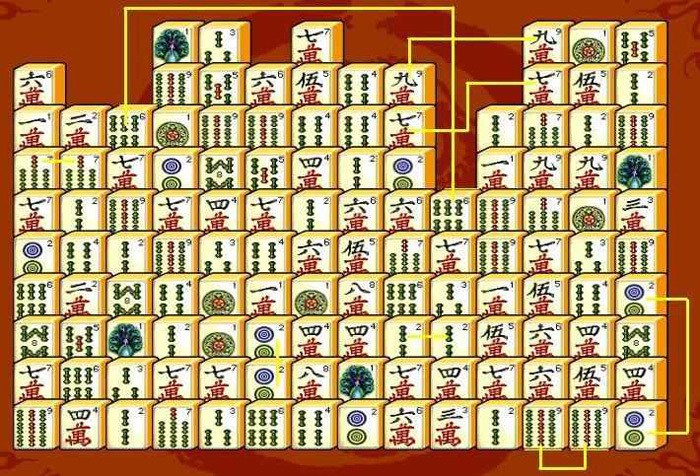 Mahjong Connect game has a total of 140 tiles unlike the other popular game types of Mahjong. All of the tiles are arranged in a rectangular framework which has 14 tiles across and 10 tiles high. All the features and images have the same meaning except that of the flowers tile which is usually chrysanthemum. The main aim of this game is to eliminate all the possibly matching tiles and suits so that you can move them at other place to disclose the other tiles. All the tiles must be exposed and matched in order to win the game. You can match tiles only if they are adjacent to each other or if you can draw an a path of up to 3 lines between the two tiles.